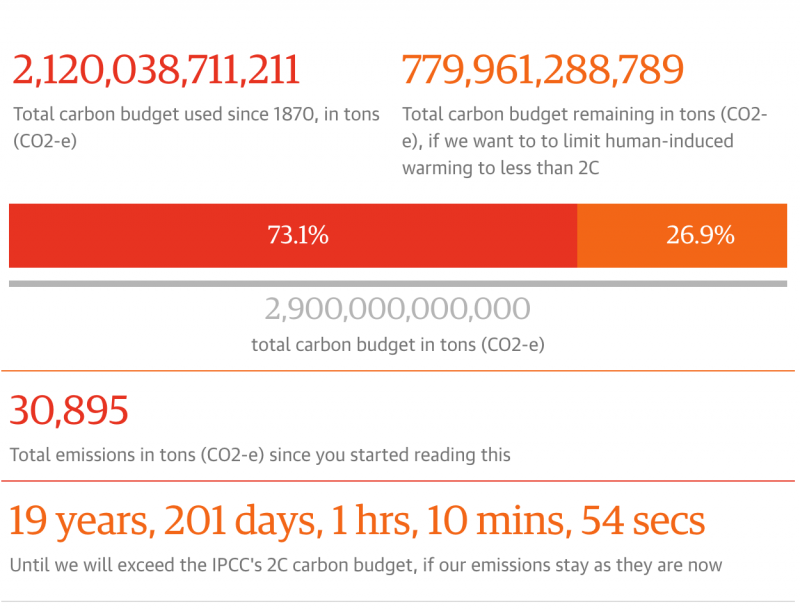 The Guardian has made a very illustrative and scary carbon countdown clock that I recommend visiting, just to get a grasp of in how much of a hurry we are to slow down climate change. We need to act now. 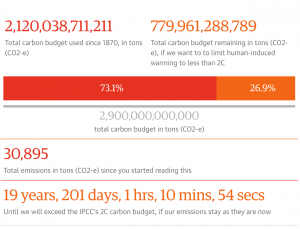 Carbon countdown clock: how much of the world’s carbon budget have we spent?